I have been horrible about posting lately. I know it, but I am having a hard time shaking this post PCS funk. Happens every time. The adrenaline from the excitement and stress wears off and I am left behind. Sigh…such is life sometimes. So, in an attempt to get back in the groove of posting, I am going to be participating in the WoF blog carnival. Feel free to join up too, just click on the graphic to see what it is all about. Dec. 6: Your favorite Christmas tree ornament or Christmas decoration. Actually, I have two that I will share. One is a snowman plush decoration that I bought for our very first Christmas, 11 years ago. I love snowmen and the fact that it was “just a couple” and touted a motto that we want to cling to. It is out every year, on display, even if the tree isn’t (we don’t put up the tree till Bryan is home if he happens to be gone that year). The second, I have had for a really, REALLY long time. I used to have a little stand, but I converted it into a tree ornament. 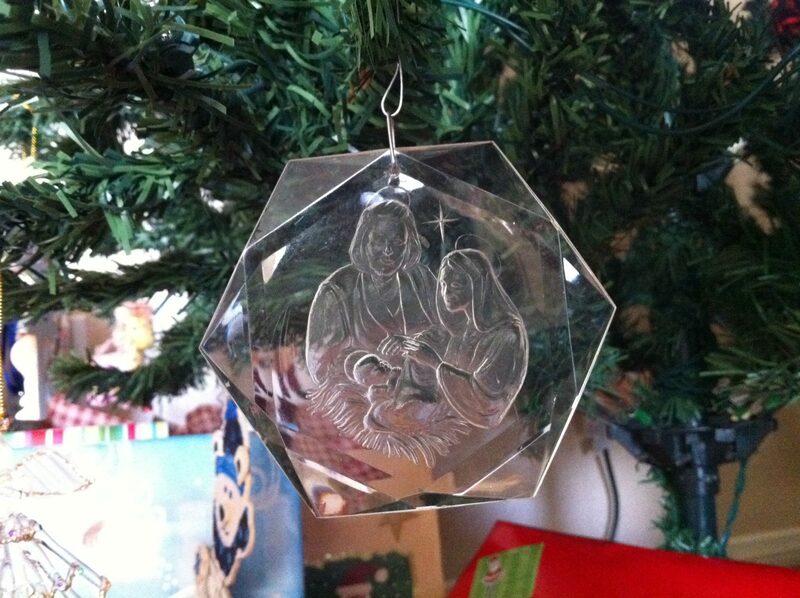 It is a crystal ornament depicting Baby Jesus, Mary and Joseph. It is dear to me, because it belonged to my parents and since they divorced when I was 3, there isn’t much around from “them”. Awesome! 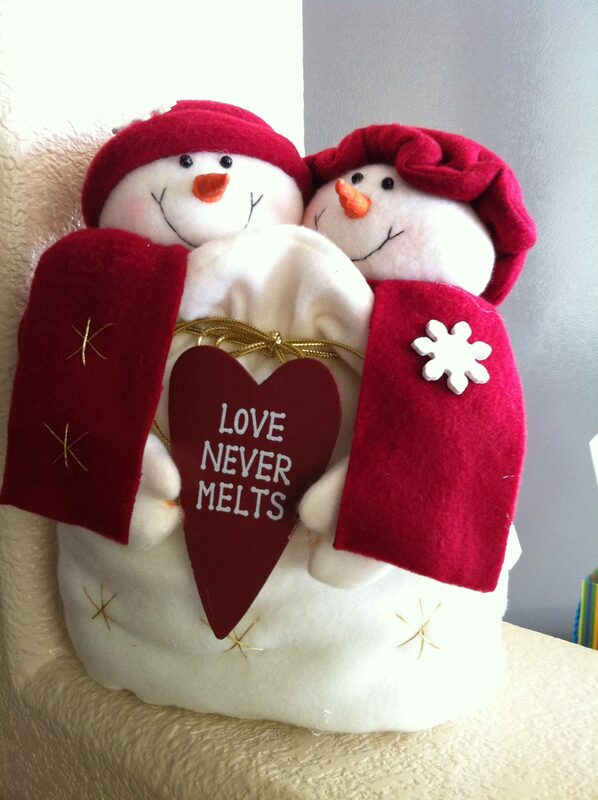 I love the snow one: Love never melts! Cute! Glad you are joining us at the WOF carnival! I love your ornaments, so very cute! I love the slogan on the snowmen! :-) The crystal ornament is beautiful too. Cute ornaments!! Just curious- how did the Jesus, Mary, & Joseph one last during the toddler years? I’ve already counted three that my boys have broken!